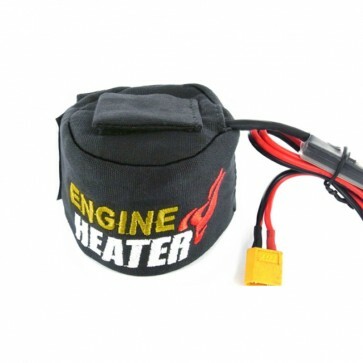 The SKYRC engine heater uses technology similar to that used by Formula 1, Indy Car and NASCAR Teams! It will properly pre-heat your engine to 60-70°C in 10 minutes based on ambient temperature. 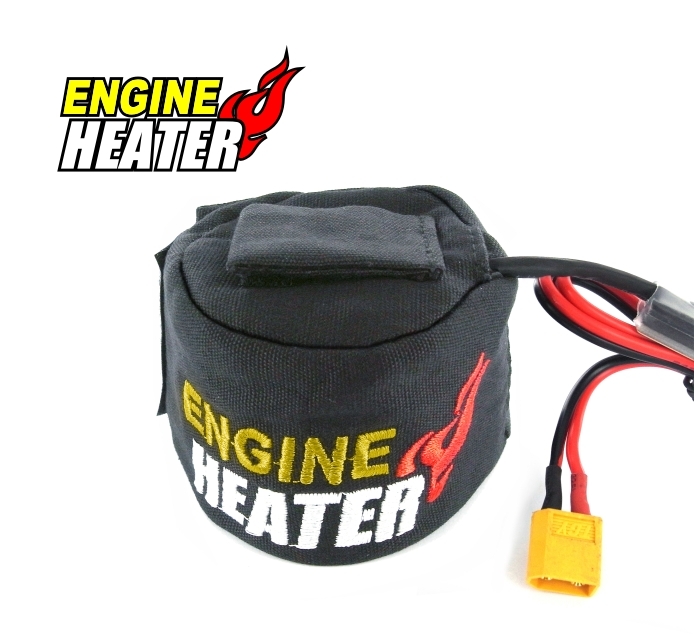 SKYRC engine heater will pre-heat all the critical parts of your nitro engine, giving you reduced stress and wear on the engine. It help relieve stress on the crank, con-rod, piston and sleeve during warm-up. 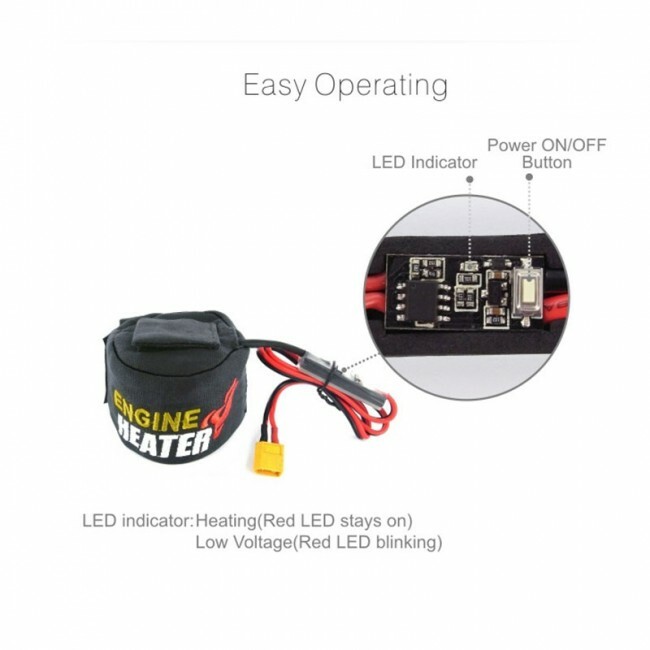 It also give you a very easy and smooth engine start, with no stress on your starterbox. Fuel consumption is much less, as you do not have to spend time warming up and adjusting your engine. 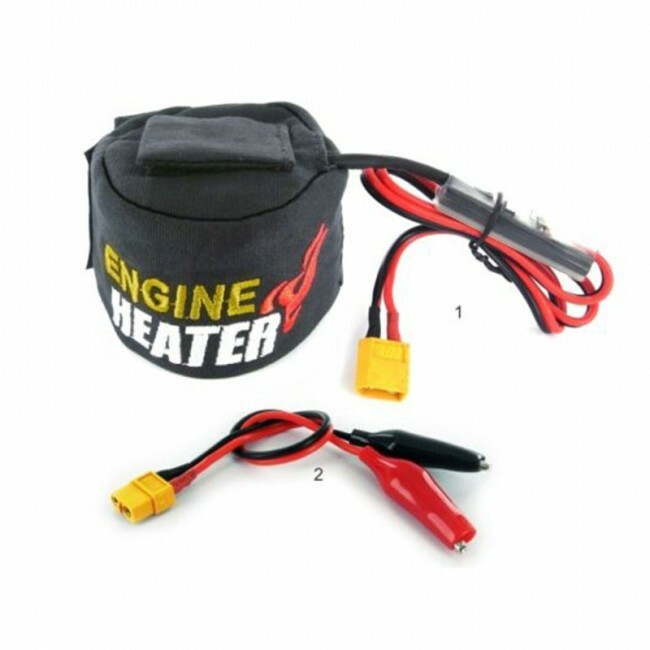 A pre-heated glow-plug will increase the life of your plug. It is also perfect for break-in, as it reduces the "pinch" on your new engine. 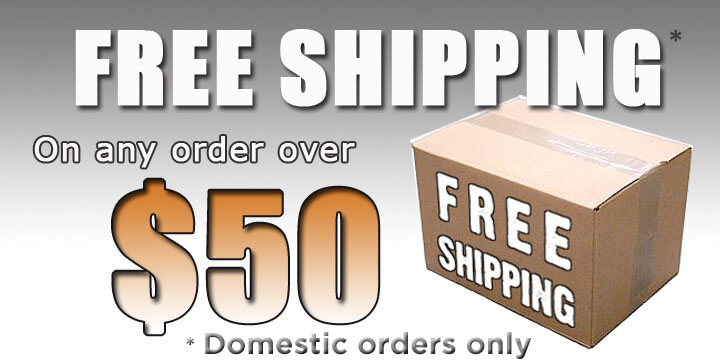 You will experience that engine pre-heating is a must with nitro motors, and most importantly, it will quickly pay for itself by increasing engine life and performance!